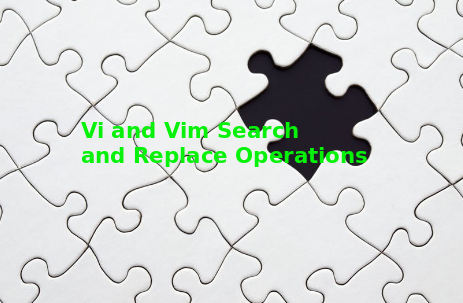 Vim provides reach features for text and word search and replace operations. Sed and awk provides similar features to Vim but vim is text editor which makes it different from others. During examples we will use following sample text. # # The MySQL database server configuration file. # # You can copy this to one of: # - "/etc/mysql/my.cnf" to set global options, # - "~/.my.cnf" to set user-specific options. # # One can use all long options that the program supports. # Run program with --help to get a list of available options and with # --print-defaults to see which it would actually understand and use. The most popular use case is search and replace in whole document. We will use search commands. In this example we will search with %s for database and change to DB in whole file with g .
By default search and replace operation is done without looking whole word. Event is searched text is a part of word it will be replaced. We can only search in whole words by surrounding the search text with \< and \> like below. We will search base as a whole word.